This is a Bristlebot. 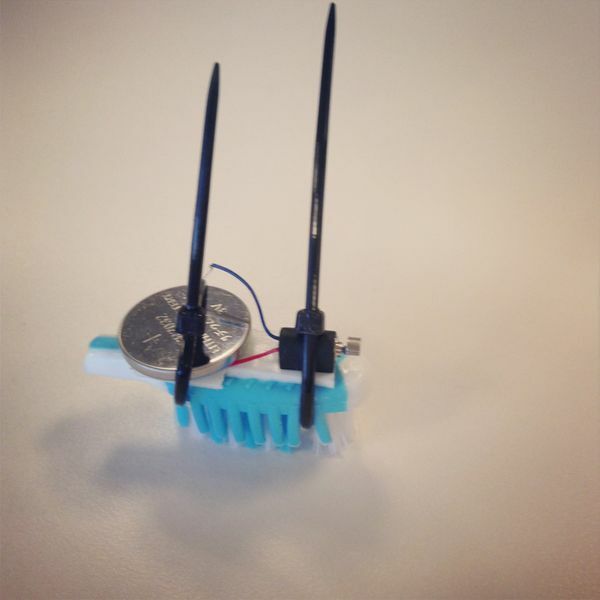 A simple robot made from the end of a toothbrush, a motor, and a watch battery (and various adhesives). We made these Sunday evening while I participated in a STEM circle at St. Edwards University as part of their Noyce scholarship program. The reason I don't have a picture from today (Monday) is that I'm at mandatory PDAS (teacher evaluation) training for 3 days. Not sure what I'm going to post tomorrow and Wednesday, but I'll do my best to be creative! See the video below for a quick view of the robots in action.